I have a retirement account with my previous employer. Can I roll over those funds into my new employer’s 403(b) plan? To maintain the simplicity of managing only one retirement account, you may be able to roll over your IRA, 401(k), 457, or other retirement account(s), into your current employer’s 403(b) account. This is called an incoming rollover and depends upon if it’s allowed by your current employer’s plan documents. Ease of access and view of all investments. Easier management for future beneficiaries. Consolidating your accounts is common in the retirement industry. Contact your financial representative if you have further questions regarding this process. 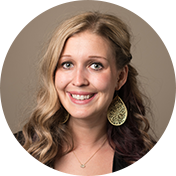 You may also contact NBS by phone at 1(800) 274-0503 or by email at 403bsupport@nbsbenefits.com for questions about forms and whether incoming rollovers are allowed by your plan. I have a 403(b) account. Can I transfer my funds into a different type of retirement account, such as an IRA, 401(k), or 457? This may be possible, depending on which type of account you are wanting to roll over your 403(b) funds to, and whether it is allowed by your current employer’s plan documents. 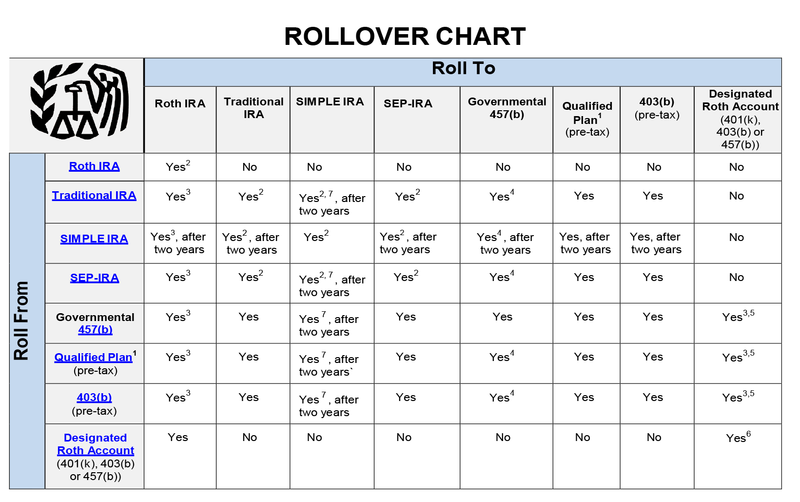 The IRS has clear rollover rules which are summarized in an easy-to-navigate chart, found below, and linked to here. If you have any questions regarding this possible plan feature and whether it is allowed by your employer’s plan documents, please consult NBS. Keep in mind that your employer’s plan documents always govern and should be referred to when making decisions about the management of your retirement accounts. You can always obtain a copy of your plan’s Summary of Plan Provisions by contacting NBS. 1- Qualified plans include, for example, profit-sharing, 401(k), money purchase, and defined benefit plans. Non-Qualified plans are not included in this chart, which include, 457(b) nongovernmental plans and 457(f) plans. Please contact your financial advisor for more information regarding this. 2- Only one rollover in any 12-month period. Beginning in 2015, this change was made. The limit would apply by combining all of an individual’s IRA’s, including SEP, SIMLE IRA’s, Traditional and Roth IRA’s. This would treat them as one IRA for purposes of the limits. 3- Must include in income. 4- Must have separate accounts. The receiving plan or account must have distribution rules that are as strict or stricter than the surrendering plan or account type. 5- Must be an in-plan rollover. 6- Any nontaxable amounts distributed must be rolled over by direct trustee-to-trustee transfer. 7- Applies to rollover contributions after December 18, 2015. For more information regarding retirement plans and rollovers, visit Tax Information for Retirement Plans. If you have questions or concerns regarding if a rollover is right for you, meet with a trusted financial advisor in your area for more information. NBS can be contacted by phone at 1(800)274-0503 or by email at 403bsupport@nbsbenefits.com.